For our time series data analysis task, we have taken temperature data of “Mountain View, CA” with datetime from 2018-10-25 to 2018-10-31. You can download it from this link. 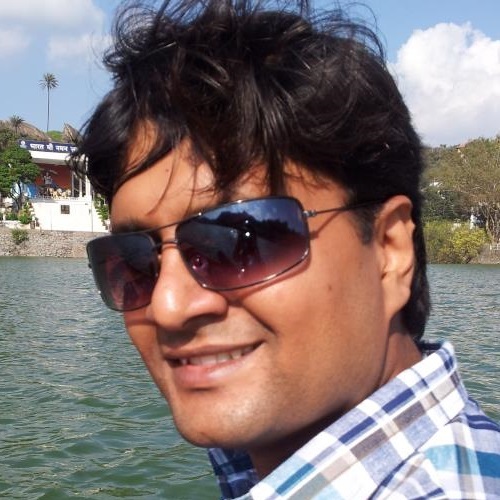 We can manually create time series using pandas Series. Let’s try to create random hourly data points from 2018-10-25 to 2018-10-31. Another way is to read time series CSV data using Series.from_csv method which is deprecated method in python 3.6. 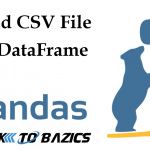 We can also read dataframe using pandas.read_csv and replace index with the datetime column. We can get summary statistics using describe() methods on DataFrame as well as on Series. Let’s say we have weather dataframe with datetime index named ‘datetime’, we can simply select data of any year, month and day by specifying it as an index. From your time series dataframe you can always change the granularity to higher level and aggregate. Here resample our existing dataframe to daily level min, max and average temperature values. While data exploration, plotting time series data is a critical part to check the trend and seasonality. Following is an example of plotting the two days temperature data. 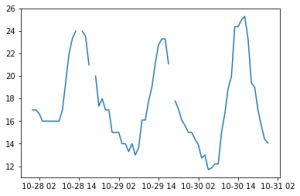 In this post, we learned to play with time series data using pandas library. 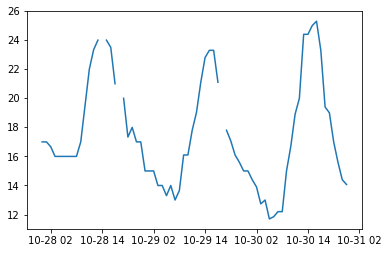 In case you have any queries regarding time series data analysis in Python, reach out to me. You can ask your questions in the comments section below and stay tuned…! !